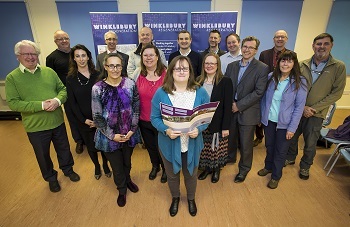 Basingstoke and Deane Borough Council is working with partners including Hampshire County Council, VIVID and the North Hampshire Clinical Commissioning Group on regeneration proposals for Winklebury. There has been extensive and ongoing community engagement, largely through the Winklebury Community Action Group, who led the development of the new Community Plan. This highlights the views and aspirations of the local community and is actively supported by the council. VIVID’s chosen architects, Kenn Scaddan Associates, have used feedback from the community plan to create an initial masterplan. This shows all the land and property owned by VIVID and the borough and county councils to assist with the review of areas that have the potential to be included in the regeneration. Local residents at the Winklebury Gala shared their thoughts on how they would like to see the area improved as part of the regeneration, including the need for better pedestrian, cycle and running routes. Other issues discussed included parking, accessing facilities in and around Winklebury and the tidiness of the area. With the first phase of the Manydown project progressing it is important that residents in Winklebury benefit from the new development. The council will be working closely with key partners and any proposals brought to local residents will be done in a collaborative and joined up way. To work with the community to develop the initial ideas put forward by VIVID and shape the masterplan in collaboration with Hampshire County Council. Support Hampshire Football Association with the improvements to their current facility which will improve the community use. Work closely with ALDI and residents to ensure the local community benefits from the development. Basingstoke and Deane Borough Council, Hampshire County Council and VIVID will be attended the Winklebury Gala on Saturday 30 June 2018. A session to show a detailed masterplan for the area will be presented to local residents in autumn. Further details will be added to this page once a date and venue have been confirmed.